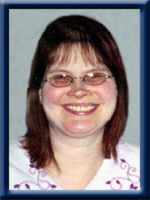 WHITE – Donna Lynn, 47, of Liverpool passed away peacefully in the QE II Health Science Centre, Halifax on Wednesday, August 28, 2013 surrounded by her loving family. Born in Liverpool, she was a daughter of Dorinda (Manthorne) White of Liverpool and the late David White. Donna will be fondly remembered as loving and living life to its fullest to the best of her ability, despite her ongoing health issues. She will be sadly missed by all those who knew her and her smile and laugh will never be forgotten. Surviving besides her mother are her companion David Whynot, her brother Ronald (Eileen) of Liverpool, her niece Bailey and her nephew Mason. No words can easy the pain you are going through……but Donna was an inspiration and she will be missed by all who knew her. If you need anything please call……. So sorry to hear of the passing of Donna she was such a special woman. May your special memories comfort you in the days ahead. dorinda and davd,sorry for your loss dorinda,and now she is with her dad and they are walking hand and hand and taliking about how they will miss leaving you. take care because would want you to. Dorinda and Ronnie, my sincerest sympathies go out to you and your loved ones at this difficult time. Donna will be remembered exactly as described in this tribute, may she finally rest in peace as she joins her Dad and all the others who have gone on before her. Sorry about your loss. Donna will always be remembered for her smile and her kindness. Treasure her memories forever and always keep her in your heart. so sorry to hear of the passing of donna.our sincerest sympathies dorinda family and david may god comfort you in your time of sorrow. To all of Donna’s family we was very sorry to hear about Donna’s passing you are all in our thoughts and prayers at this sad and difficult time ..
Dorinda, my heart goes out to you. We talked about this often at the Legion. She was a strong young lady who didn’t know the meaning of the word “quit”. I often marvelled at her will and her strength to carry on. She was special and will be missed. Take comfort in knowing that she is now in the loving arms of her dad. Dorinda, David and family, it is with great sorrow that I learn of Donna’s passing. I know that no mere words can express the heart felt sorrow that you know feel, but maybe knowing that others share your pain with help ease yours. Donna will always be remember by those that knew her. I pray now that she is dwelling in the house of our Lord and looking down on you and her friends. To the family of the late Donna White. I am so sorry to hear about the passing of Donna.i have known her since she was a little girl.She always had a smile on her face.When we worked together no matter how easily she tired at times she still kept her pace up.She was indeed a gem to work with and to talk to. A smile for everyone. Today I send my deepest condolences to all of you.She is flying with the angels now and free from pain. When God chose her to come home he chose a very special lady. May she R.I.P. and just know she will be watching over all those she loved especially her immediate family. God Bless you all. So sorry to hear about Donna’s passing our thoughts and prayers are with you at this very sad time. Dorinda ,David ,Ronnie and family…I was so saddened to hear about Donna’s passing. She will be missed by many. No more suffering for her and now she will be looking over you all as an amazing angel! hang in there and cherish the memories. Eileen and Family, although i did not know Donna, I saw how you wrote about her with love and caring. I am very sorry for your loss. May she fly with the angels. Dorinda and family so very sorry for your loss, thoughts and prayers and our sincere condolences. Dorinda. I remember talking to you a few times at physio when you had Donna there. I am very sorry to hear you have lost her. Some people’s life is a struggle from the beginning. I don’t know why. May God comfort you. Mom sends her condolence as well. David. I am very sorry for the loss of your very special friend. My sincerest condolences to Donna’s family. May you take comfort in the words at Revelation 21:3,4, which promises a time when “death will be no more, neither will mourning, nor outcry, nor pain be anymore.” God will surely fulfill this promise and comfort you during this difficult time. So sorry to hear of the loss of Ronnie’s sister may your memories of the happier times help you through this sad time. May God’s comfort be with you. so sorry to hear about your loss. she was a good friend. she will be sadly missed. Thinking of the family at this time. David very sorry to hear about Donna, my thoughts are with you and the rest of her family at this rough time. So sorry to hear of Donna’s passing. Our thoughts and prayers are with you at this most difficult time. Dorinda and David: There are no words to express one’s feelings when you lose someone like Donna. I did not know Donna personally, but seeing the pictures and video, I remember speaking with her at times and remember her smile and kind nature. She had a difficult time dealing with health issues. She had so much strength that we will never know how much effort it took for her to keep going. We should all be blessed by her spirit. My sincere condolences. Sorry to here about Donna. I knew here since she was born and she went through some hard times but she always had a smile on her face. She lived life to the best of her abilitys. We should all learn a lesson from her. She will be missed. All my condolence to my aunt Dorinda and Ronnie. So sorry for your loss. May you find comfort in each other during the difficult times ahead. Dorinda, Ronnie and David, we are so sorry to hear about Donna are thoughts and prayers are with you at this difficult time. David if you need anything don’t hesitate to ask. The Bakers. Our thoughts & prayers are with you @ this very difficult time. Donna had so much spirit! Hope fond memories of her will help you through the days ahead. SO NICE TO SEE.OUR THOUGHTS AND PRAYERS ARE WITH YOU AT THIS GRIEVING TIME. Although I did not know Donna that well. Growing up in a small community I always remember hearing the stories of her struggles. However she always seemed to manage a smile and continue unabated with life.My thoughts are with the family and friends of Donna at this very sad time. DORINDA,WE ARE SO SORRY FOR YOUR LOSS .I DIDNT KNOW DONNA WAS SICK .THINKING OF YOU AT THIS VERY SAD TIME . So sad to hear of Donna’s passing…She was certainly a fighter and a special woman…I know Dorinda & Ronnie you must be missing her especially her feistiness & special personality. Was unable to make the funeral but was there in spirit. Donna will be missed by her family and friends. David: I did not mention you in my last condolence to Dorinda & Ronnie & family; however, I feel I know you as Donna spoke of you often and how much you meant in her life. I am so sorry for your loss and know that her smile will remain in your memory forever. So sorry to hear about donna she was a very nice person.And will be missed by everyone who knew her.Our thoughts and prayers are with you all .Rest in peace donna. Karen and I are sending our love to you and i know Donna would not want us to be sad but to know she is in a better place and free from pain and suffering. Donna the few times we spoke on the phone gave me the courage to forget the bad things and to live life to the fullest. She is my Hero and I along with Karen will miss her dearly. Our thoughts and prayers are with you all. It’s a very sad time but we know her suffering is over and she is in a better place. She fought hard for many years. We are lucky to have known her and glad that we had a chance to see her not too long ago. Alicia will always remember painting Donna’s toenails. She will be missed.